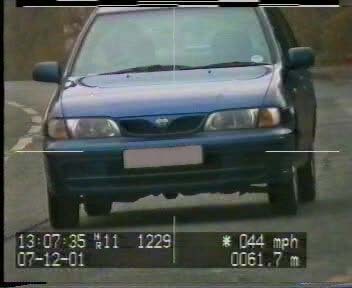 Further to our telephone conversation on *** 2002 regarding your client Miss C, we confirm your instruction to provide expert opinion on the traffic video in respect to the charge of exceeding the speed limit. The LTi 20/20 was used correctly. The target vehicle may have been exceeding the 30 mph posted limit but this is difficult to verify from the two dimensional image. By utilising markings on the carriageway, we believe that it should be possible to verify the accuracy of the 44 mph speed measurement. 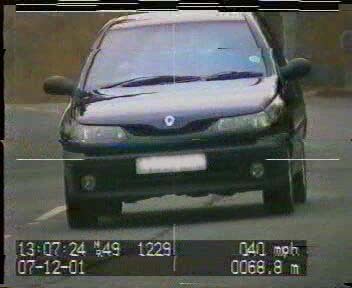 The traffic video has also recorded the speed of another vehicle (Renault Laguna) exceeding the speed limit [40 mph] however, that speed does not exceed the preset limit for prosecution, which is marked with a "*" next to the speed-reading i.e. * 44 mph in Miss C's case. 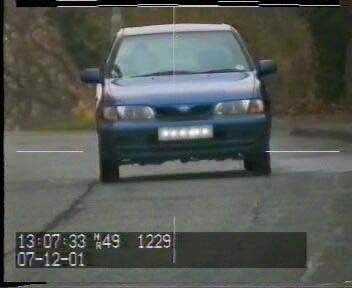 In frame 1 the vehicle's front wheels are both in line with an obvious change in the road surface. In frame 2 the off side front wheel is in line with an irregularity in the road surface. 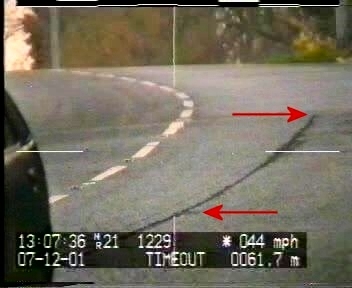 This is a little more difficult to spot but, if you allow the tape to run until the car has passed from view, you should be able to see it near the centre of the road connected to an obvious irregularity that runs parallel to the white lines. The vehicle covers the distance in 1.24 seconds and, for it to have been travelling at 44 mph, the distance would need to be: 80.02 feet or 24.39 meters. When you visit the site to take the distance measurement, please ensure that you also photograph the relevant markers on the carriageway. We trust that you will find this report to be in order and we look forward to receiving your further instructions in this matter. If you require any additional information please do not hesitate to contact us.